love having the option to match my favorite atty’s afc with any mod i want, they are very sturdy and well made thanks! Top Shelf RDA. First Class fit and finish. I have been able to fit every coil I’ve twisted up since purchase, with ease. 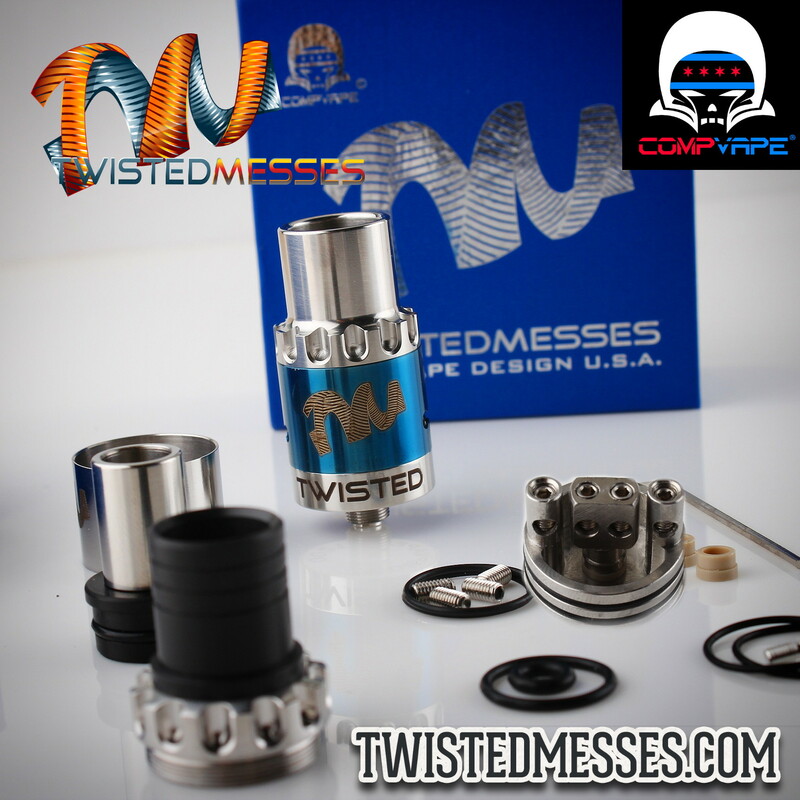 The Drip Tip design and choices of Tips that are included with this RDA allows choice without further purchase. The Juice Well has been whittled deep, substantially increasing the flavor production. 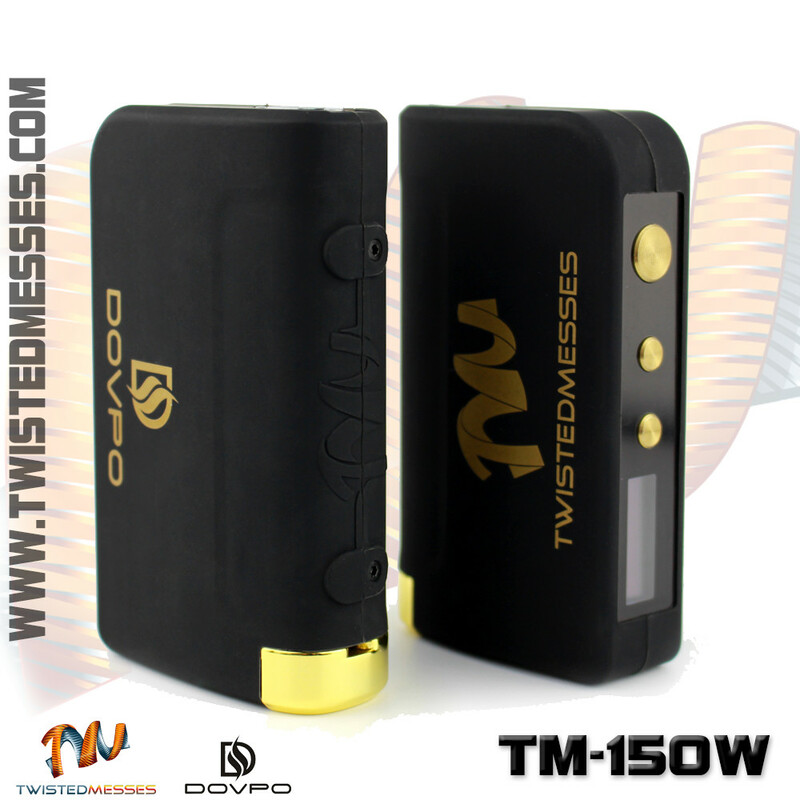 Design, Value, and Choices not only make this a Cloud Chaser’s dream, a Coil Twister’s Pick, it will convert even the purest SubOhmTank Vaper. This is a known issue with the some of the RED AFC Rings only, very sorry for that! I’m having replacements made now with more durable finish. 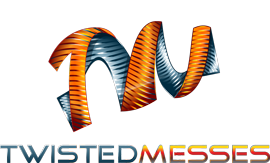 Please contact me at support@twistedmesses.com and I’ll arrange your replacement as soon as they arrive. I have both the original and the gold and black RDA’s.I must say im vary pleased.I was just wondering when you buy a new afc ring is that all you get?Or does it come with an inner barrel as well? It is just the AFC Ring, the pictures are just to show what it would look like on the different top caps. 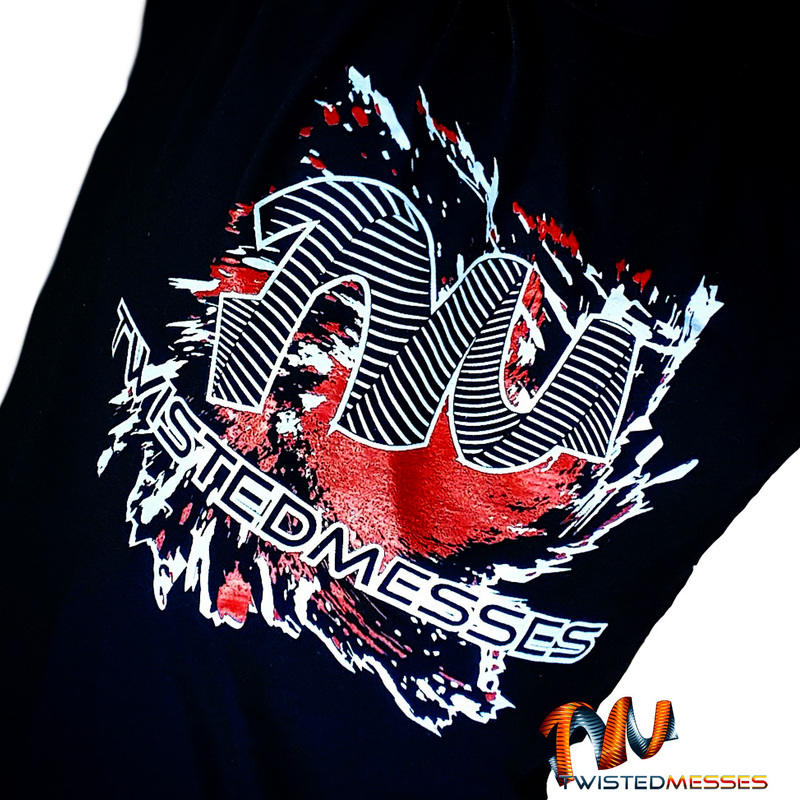 I have the OG twisted messes and took advantage of the deal on buying multiple replacement decks. I also ordered a copper AFC ring a while back. So, I have 3 AFC rings, and 3 decks but only one top cap barrel. I always have complex builds running on all 3 decks, and go to these more often than any other rda’s I own. I think it would be awesome if we could purchase extra barrels as well. It would make life so much easier if I could get 2 more of these. Currently I have to put the 2 decks, not in use, in little baggies if I’m too lazy to change cotton and clean the coils. Which happens often with my busy life, lol. Love your products, keep up the steezy work! Great AFC ring. Have one in pink and red sadly the red one came slightly squished luckily it still fits. 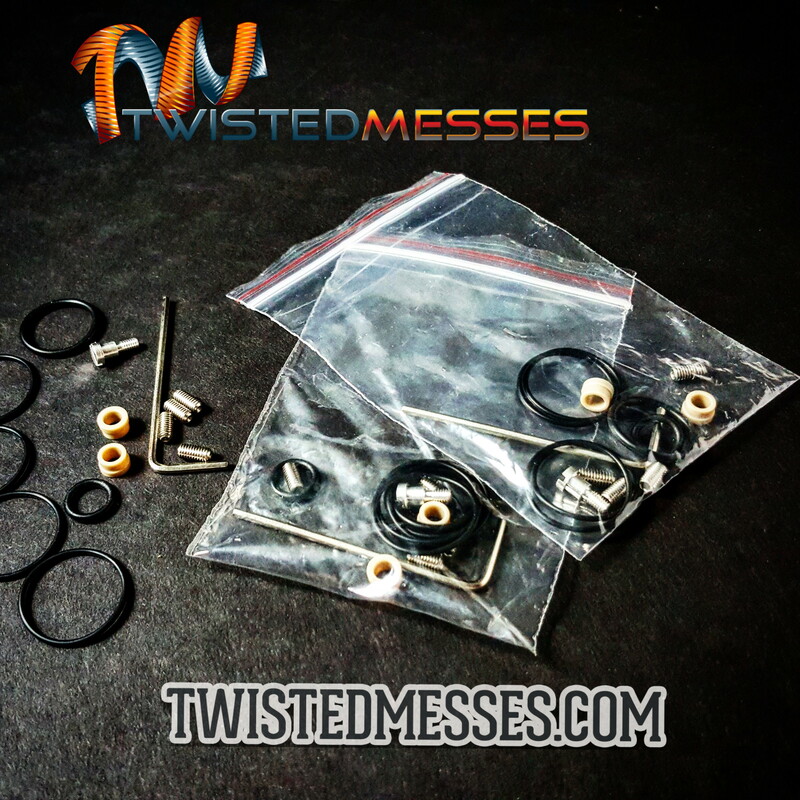 Please contact us at support@twistedmesses.com and we’ll send a replacement red ring for you.